After message board commenters poked fun at an overweight man trying to dance, now women across the internet are coming to the man's aide. In February, the following image appeared on the website 4chan, where users are able to anonymously upload and comment on an array of different images. The image includes the caption "spotted this specimen trying to dance the other week. He stopped when he saw us laughing." "Is wrecks my heart. Shaming is not okay! And imgur needs to learn this lesson too sometimes, unfortunately. Keep dancing man!" wrote Imgur user LILBABIES. "His face in the second picture is breaking my heart," wrote Imgur user luckycharms4life. The image was then tweeted out by Twitter user Cassandra Fairbanks. Shortly after Fairbanks' tweet, many women from Los Angeles tweeted their support of the man, inviting him to a dance party. This sparked the hashtag #finddancingman, with hopes of locating the stranger who was shaking it. On Friday, one Twitter user claimed to have spotted a man who looked similar to that in the original image. 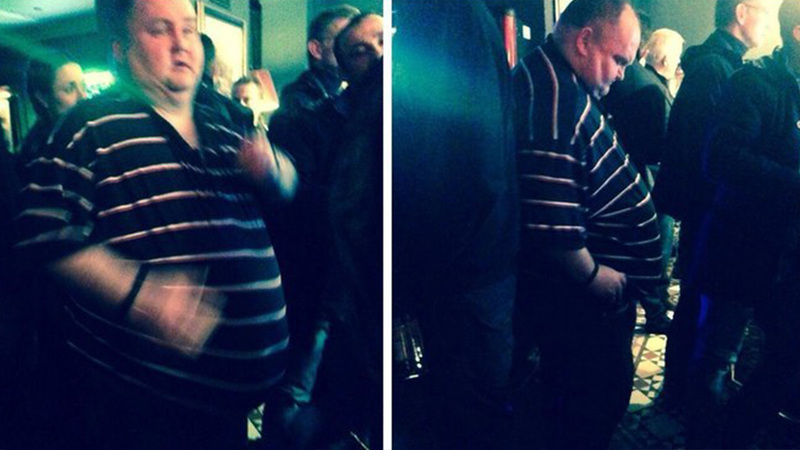 And then finally, the dancing man had been found. Cassandra says that she is trying to organize a meet up between the women and the man.